Life is too short for ‘what ifs’. Too short for unfulfilled daydreams. 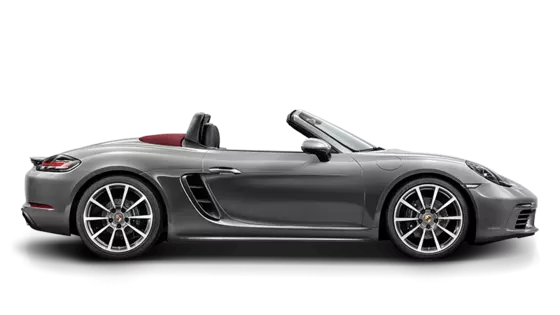 The Porsche 718 Boxster unites the sporting spirit of a mid-engine roadster with striking design, athletic chassis setup, and luxurious comfort. At its heart, a four-cylinder turbocharged engine beats with the same fighting spirit that has delivered countless podium finishes – delivering 300 horsepower. Handling remains a signature characteristic of the 718 Boxster thanks to a low center of gravity, compact lightweight body construction, and smooth power delivery. When closed, the fabric roof of the 718 Boxster completes the sleek silhouette of an iconic sports car. Unmistakable Porsche design elements include sculpted wheel arches, distinctive edges, and clearly defined contours. This superlative exterior design only hints at the blistering performance found under the hood. 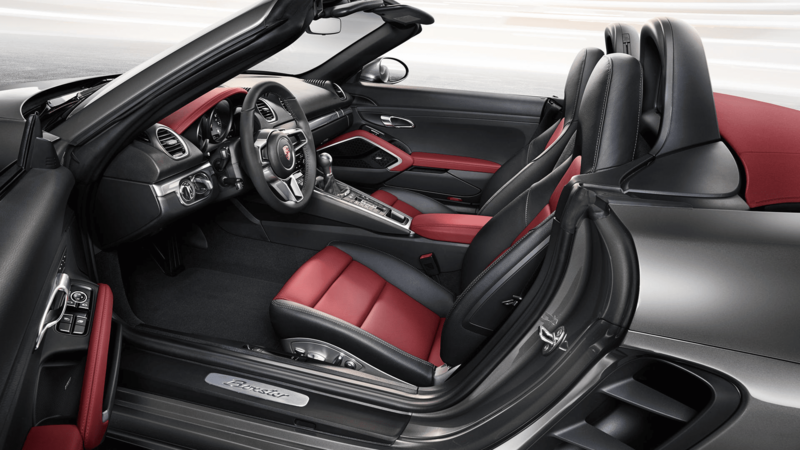 A driver-centric interior layout immerses your senses behind the wheel of the 718 Boxster. Experience the fundamentally revised version of Porsche Communication Management (PCM) featuring a 7-inch multi-touch screen for seamless connectivity. Choose from a comprehensive selection of personalization options to create a 718 Boxster that reflects your own unique personality. 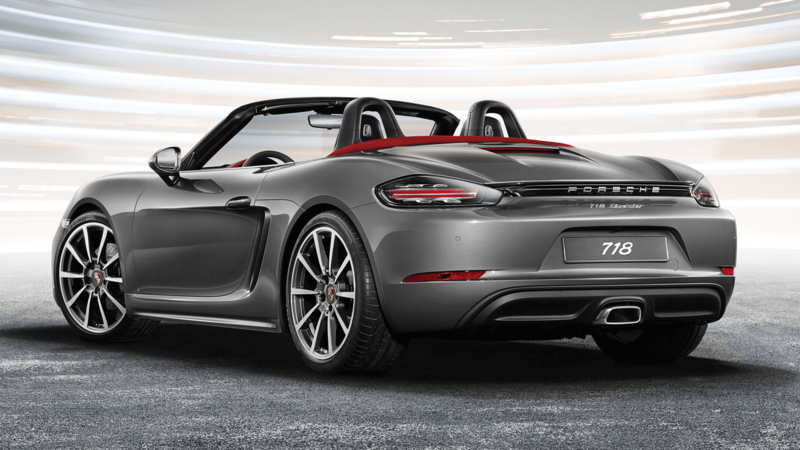 After undergoing a complete model refresh just two years ago and adding the GTS last year, the 718 Boxster enters 2019 relatively unchanged. The sole update is the previously optional sport-exhaust system is now standard on both Boxster and Boxster S models. Drivers can choose between two exceptional turbocharged 4-cylinder engines which deliver 300 and 350 horsepower respectively and instantaneous acceleration. 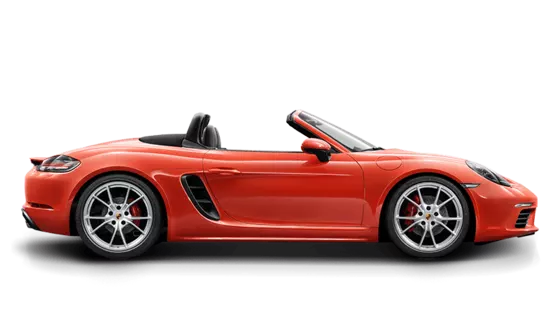 Rocket from 0-60 in a Porsche 718 Boxster S in a blistering 4.4 seconds You’ll also have your choice of a smooth-shifting speed manual transmission or 7-speed PDK transmission featuring both a manual and an automatic mode for extremely fast gear changes with no interruption in power delivery. The typically resonant Porsche sound is also an intrinsic feature of the 718 Boxster, providing the fitting soundtrack on the way to new heights of performance. Porsche Torque Vectoring (PTV) is an optional system for enhancing driving dynamics and stability, helping to inspire confidence behind the wheel. At Porsche, function and design are inextricably linked. An ascending center console, ergonomic Sport steering wheel, and three round instruments with the tachometer positioned in the center help create an environment that’s completely centered around the driver inside the Porsche 718 Boxster. Leather and Alcantara® materials are easy to grip, while the firmly padded Sport seats provide support during dynamic cornering maneuvers. The new Porsche Communication Management (PCM) system with a 7-inch multitouch screen and optional navigation module enhances form and function with a further component: nearly boundless possibilities. With its high-quality glass surface, Porsche Communication Management is the aesthetically perfect addition to the center console. With standard mobile phone preparation, a Bluetooth® connection can be established automatically. Wireless Internet access gives you in-car online access from WiFi-enabled client devices tethered to your smartphone or a separate SIM card. The available online navigation package also includes Google® Street View and Google® Earth services with 360° views and satellite imagery. 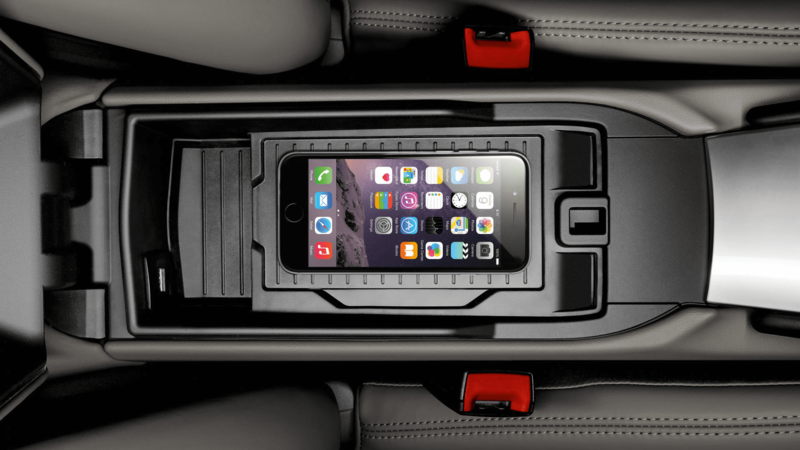 Porsche Car Connect (PCC) is an available feature which lets you can control certain functions of your Porsche remotely via your smartphone or Apple Watch®.